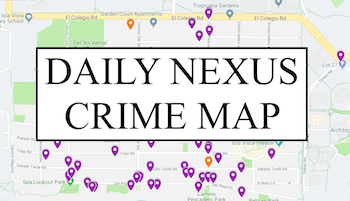 Join the Nexus as we revisit some of the most noteworthy moments of 2017 of UC Santa Barbara and Isla Vista. Meet Jordan Mitchell: a third-year music composition major who created his own hip-hop collective and composes original mariachi music. Meet Kimberly Barocio: She's a fourth-year sociology major who has found solace by working on cars and becoming president of the Gaucho Automotive Society. Joe Pasternack owns the best record by a rookie Head Coach in Gaucho history leading the Gauchos to a 7-2 start following the win against the Mavericks. The UCSB women's basketball team fell to 1-6 on the season following the loss to Fresno State. The UCSB men's basketball team is now 6-2 on the season and winners of five straight following a 67-57 victory over USD. Watch one of the first ever live performances from Delta Dagger, the side project of The Real Savage Henry lead guitarist John Pagliassotti. Need advice on how to deal with a bad roommate? 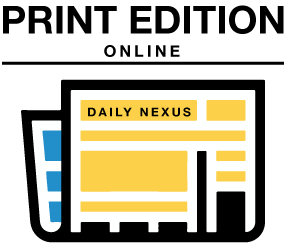 Daily Nexus contributors Komal Surani, Adam Cox, and Clayton Alexander are here to help you out in this first edition of the Nexus Advice Column. Watch local IV garage rock band The Mallards perform two songs off of their "Fowl Play" EP, talk about why Mac DeMarco is overrated, and plan out playing the first rock concert on Mars. Get to know some of the stars of UCSB's Women's Basketball team before their season opener this Friday against Seattle. It's not too late to swoop your favorite pumpkin spice treats from the grocery store. Watch the Daily Nexus' pumpkin spice taste test and get pumped for the rest of Fall Quarter.